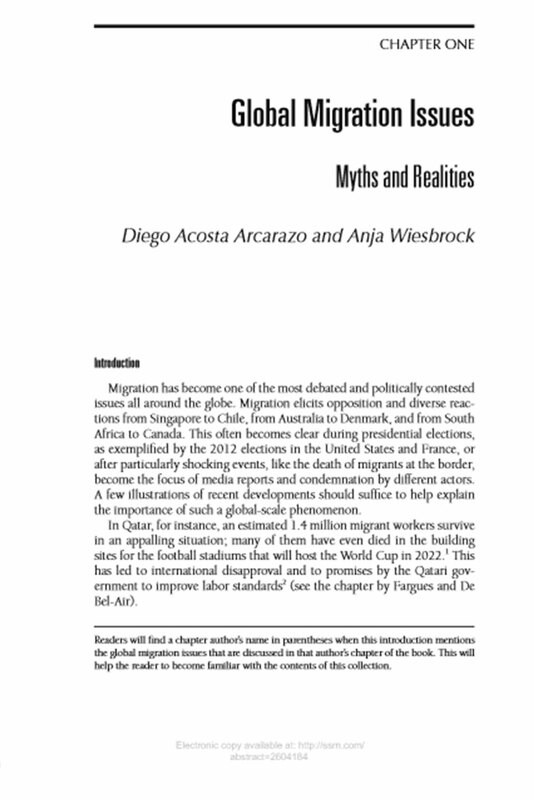 With A. Wiesbrock in D. Acosta and A. Wiesbrock (eds.) Global Migration. Old Assumptions, New Dynamics (Praeger, Santa Barbara, 2015), pp. 1-28. Buy the book.